“There was panic when the quake happened and there was a rush toward the exit,” he told AFP. The tremor triggered power cuts in parts of Bohol, Cebu and neighbouring areas, say reports citing the country’s disaster management agency. 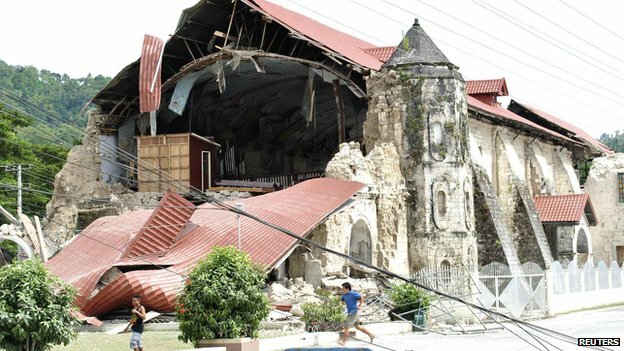 A 7.2 quake struck underneath Bohol island, damaging structures like this old church in Loboc town. 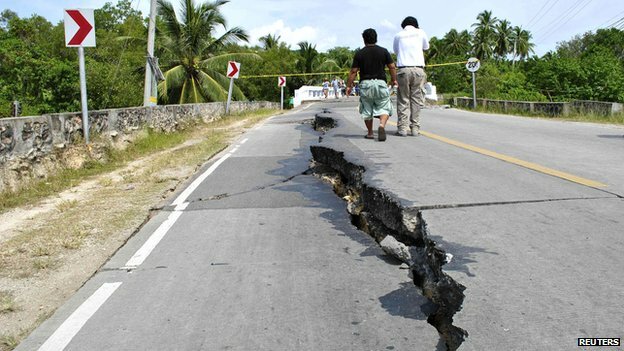 A huge crack has appeared in a road in Bohol province as a result of the earthquake. 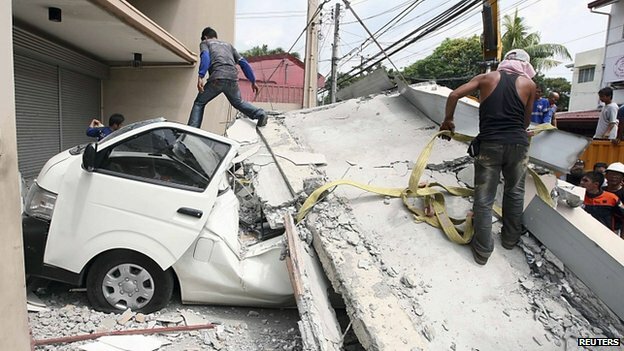 Damage was also reported in neighbouring Cebu, about an hour away by plane from the capital, Manila. 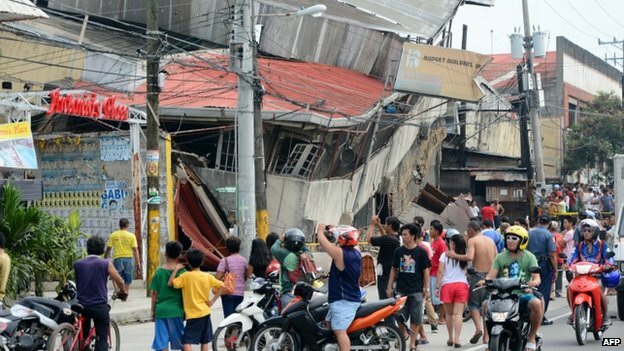 People ran out onto the streets in Cebu – one of the country’s major cities. 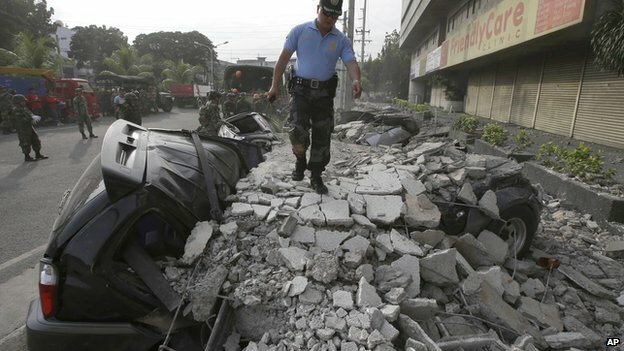 A police officer surveys the damage in Cebu city. 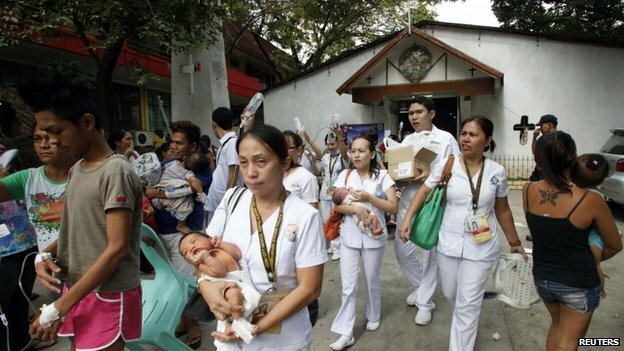 Many were also evacuated from buildings, like this hospital in Cebu, where patients were led to safer areas. 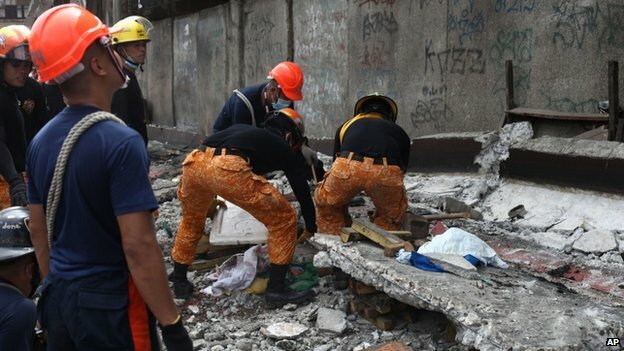 At least five people died when part of this port building collapsed in Cebu. “It’s a very strange and frightening experience when the very foundations of the house and surrounding area shake uncontrollably,” he said.